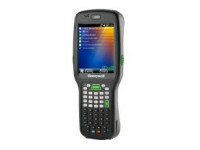 Purpose built for transportation and logistics applications, Honeywell’s Dolphin® 99GX mobile computer with an integrated handle provides userfriendly ergonomics, cutting-edge wireless technology, multi-functional data capture and extreme durability for front-line workers operating in a variety of locations ranging from loading docks to front line retail. 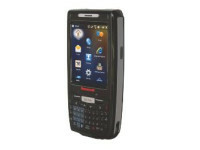 The reliable and intuitive Dolphin 99GX delivers an outstanding feature set that enables improved productivity for mobile workers. Integrated Shift-PLUS™ technology provides all day battery life, minimizing the time and expense incurred when batteries need to be charged or replaced. The Dolphin 99GX is IP64-rated and can withstand multiple 6 feet (1.8 meters) drops to concrete, ensuring years of trouble-free operation. 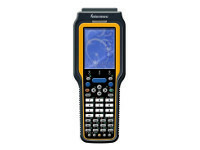 The 99GX features the latest in wireless technology, including a softwaredefinable radio that allows on-the-fly switching between GSM and CDMA networks, leading to improved network coverage and lower costs related to device provisioning and deployment. Additionally, built-in Wi-Fi provides workers with access to critical data using the new, lightning fast 802.11n standard while still supporting legacy a/b/g protocols. Integrated motion, light and proximity sensors help conserve battery life and improve ease of use by automatically optimizing the offering for the current environment. 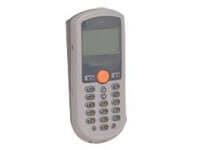 Similarly, multiple keypad options are available to ensure that the device is configured to meet diverse data input needs. With additional features such as an ultra-bright 3.7 inch display that can be read, even in direct sunlight, the Dolphin 99GX offers superior usability. 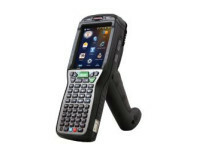 Designed with input from leading companies in the transportation and logistics sector, Honeywell’s Dolphin 99GX mobile computer provides a rugged solution that increases productivity by connecting enterprises, front-line workers and customers using real-time wireless communication.